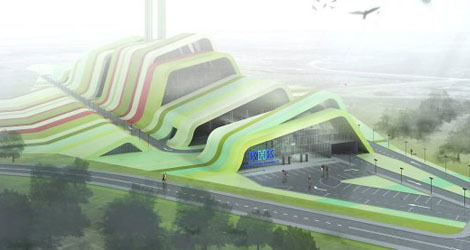 The artist’s impression depicts a radically modern looking building with a green-clad, sloping roof. Stripes resembling the pattern of crops or mown grass add a rustic touch. But it’s what is inside that really matters �C a waste incinerating facility with a promised output of 8 MW, equal to the energy used by Krakow’s trams or its street lighting, plus 35 MW of heat. “We have now completed three crucial steps: public consultation, the environmental impact report and the environmental decision.,” said Jarosław Gurbiel of Krakow Communal Holding (Krakowskiego Holdingu Komunalnego �C KHK), the developer and eventual operator of the plant. Local residents will continue to have the right to object to all legal permits relating to the waste plant until the investment is complete. Since the EU became the spiritus movens of the plant, with the huge carrot of subsidies, and the stick of penalties, time has been against the project �C any significant delay caused by court orders or natural disasters would result in having to return the money. And this would be a major blow to Krakow’s budget.